I like to sleep on my side but recently started having trouble with a painful lower back and neck while sleeping on my side with my old pillow. I started sleeping on my back and ended up tossing and turning uncomfortably every night. I was very excited to discover that SleepRight® has a pillow designed specifically for side sleepers. 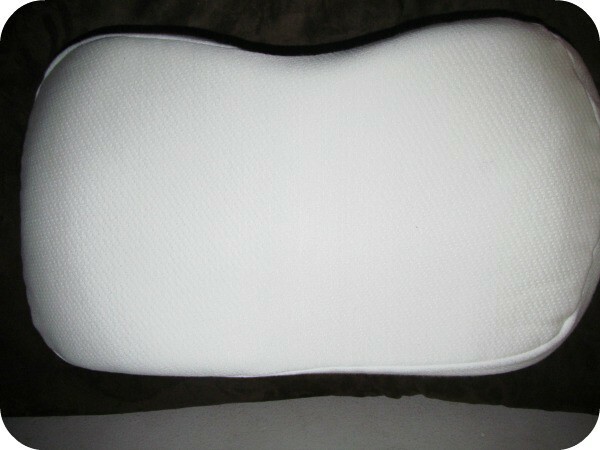 The Side Sleeping Pillow is an orthopedic memory foam pillow that provides relief in three key areas i.e. It provides a “full facial cushion” which is designed to prevent pressure on the ear and jaw when sleeping on your side. This unique feature indeed makes for a much more comfortable rest because my face seems to melt right into the pillow. It has a “12 degree shoulder cradle” which orthopedically supports the head and neck to keep the spine aligned while reducing weight on my shoulder and blood flow to the arms. This is my favorite feature of this pillow because my neck and lower back pain has been virtually eliminated with no pinched nerve feeling in my neck and I wake up so well rested which I attribute to the shoulder cradle. “Left and Right Air Paths” which is designed for maximum air intake and ultimately less snoring. I will not publically admit that I may snore occasionally…let’s just suffice it to say that this is my husband’s favorite feature as reported to me since I have been using this pillow! The SleepRight® Side Sleeping Pillow is my all-time favorite pillow and I have tried many other brands in the past. Because it is specifically designed for my needs as a side sleeper it addresses and eliminates all of the side effects I have experienced in the past. It is very comfortable and durably designed and in fact it includes a 5 year warranty so I can feel confident that I am getting a high quality pillow that is going to last. The SleepRight® Side Sleeping Pillow is available in three sizes based on height and ranges in price from $129-$149. There are even travel sized pillows available for only $89-$99. Are your ready for a great night’s sleep? Head over to the SleepRight® website to purchase the Side Sleeping Pillow. I also had the opportunity to try the SleepRight® Tongue Cleaner ($2.49) which is an essential part of my daily dental routine and optimizes fresher breath. The Tongue Cleaner from SleepRight® is different from other tongue cleaners because it has a nifty storage compartment to keep mints, floss etc. 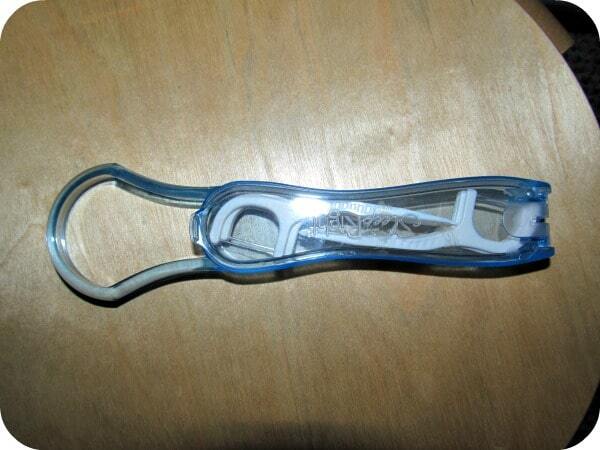 It is very comfortable and easy to use and has a dual edge to get rid of all that icky bad-breath causing bacteria. The smooth edge doesn’t scratch or cause the gagging reflex making it very easy to use. I am very pleased with the performance of the Side Sleeping Pillow and Tongue Cleaner from SleepRight®. In addition to these products they also have dental guards and nasal breathe aids too so head on over to browse the entire selection. Products are available at Walgreens.com, Drugstore.com or from the website. the rules say its only open to the us..are you sure its open to canada too? It’s not easy to find a good side sleeping pillow. I need one like this that doesn’t put pressure on the jaw. I have this pillow and it rocks. I slept on my side wrong one night and had neck problems for months before I purchased this pillow.